In addition to stately Victorian manors; many inns offer something a little different, unconventional, and something exciting. The following six inns provide unique services for those who itch for more. 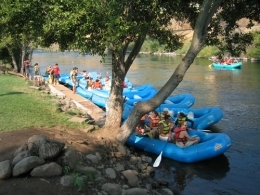 Imperial River Company If you are looking for good clean fun Oregon river rafting, then this is your place, especially if you’ve never been white water rafting before. You will appreciate the private dock, certified guides, barbeque lunch, and 100% weather guarantee – no experience necessary! They also offer guided bird hunting trips. Depending on your level of interest, note that the cycling season begins at the beginning of May. What’s better than staying in a castle? Participating in a murder mystery in a castle! Once a month Castle Inn hosts a murder mystery where YOU, the guest, are provided with early 1900s’ attire and a character description. Then you get to make up stories about yourself for the rest of the evening while socializing around a full hors d’oeuvres buffet and bar. The next morning you can rehash the shock of uncovering the killer over breakfast. 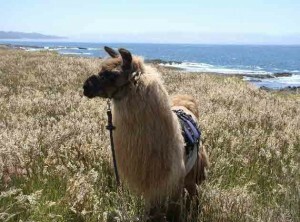 Lodging & Llamas boasts llama treks on northern California’s Mendocino Coast or in the Redwood Grove. While you can cut costs by providing your own lunch, you can also splurge and pick from a catered wine and hors d’oeuvres or a four-course gourmet meal. The patient and friendly llamas will carry it all, including tables and chairs. This has all the makings of a special occasion or a memory of a lifetime. Children and families are welcome. There’s nothing more peaceful than sleeping on a boat, and you can do it in style on the grand Mississippi River aboard one of America’s few floating bed and breakfasts. The Covington Inn was an actual working tugboat that pushed barges up and down the Ohio and Mississippi Rivers for 30 years. 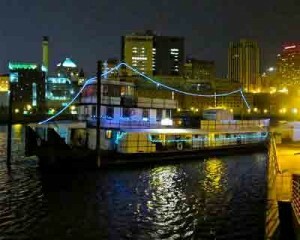 Now docked in St Paul, Minneapolis, downtown is an easy five minutes away. Dream of sailing all night long and you’ll wake refreshed and ready to explore. If you can’t decide whether you are a city mouse or a country mouse, have it both ways at The Social Goat Bed and Breakfast. 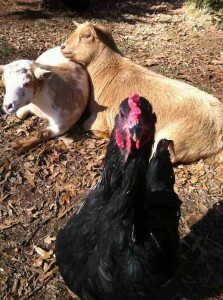 Located in downtown Atlanta, Georgia, you will find a mini barnyard with Nigerian dwarf goats, chickens, Spanish turkeys and more. The farm comfort is real in the lovely Queen Ann Victorian originally built in 1900. Only ten miles from the airport, there is much city life to discover within walking distance of the inn. Be sure not to miss The King Center, which is the official living memorial dedicated to preserving the mission of Dr. Martin Luther King, Jr.
For a tranquil getaway in the countryside, try MD Resort Bed & Breakfast in the Dallas – Fort Worth, Texas area. Previously an Emu and Donkey ranch, these 37 secluded acres include a buffalo along with the donkeys and a tranquil orchard of pecan trees. Visit in October or November and enjoy the satisfying and delicious crunch of a nut you harvested yourself. Browse through the more than 19,000 Bed and Breakfasts and country inns. Many of the properties listed are also in the best-selling bed and breakfast guidebook Bed & Breakfasts and Country Inns with a Buy-One-Night-Get-One-Night-Free Certificate. ILoveInns also offers Bed and Breakfast Gift Certificates, a perfect solution to help celebrate any occasion. 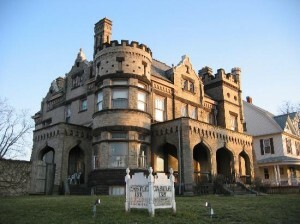 American Historic Inns, Inc. (www.iloveinns.com), founded in 1981, is the leading publisher of bed and breakfast guidebooks, with more than 2.5 million bed and breakfast guidebooks sold, and runs iLoveInns.com, a top bed and breakfast and country inns online directory. iLoveInns offers a free iPhone application InnTouch with 6,000 inns covered.